“Our aim is to win and rise up to the Skipper Cup Premier competition. Vodafone Vanua Championship at Solevu Catholic School ground. The MRU has its club competition underway where they’ve named a strong 30-member squad to prepare for Bua. Speaking to SUNsports yesterday Macuata coach Isoa Rokobici said preparations have been going on well and now everything would depend on the players when they step on the rugby field. “The squad is made up of players playing in our club competition,” he said. He added that Macuata Rugby has a lot of respect for the province of Bua who over the years have produced top international players like Mosese Taga, Timoci Wainiqolo, Seru Rabeni, Rupeni Caucaunibuca, William Ryder, Ilai Tinai, Savenaca Rawaca and the list goes on. Rokobici has called Macuata people living in Bua to come out and support the team. Bua coach Apakuki Tuitavua said the tram had gone into camp on Monday and are preparing well. 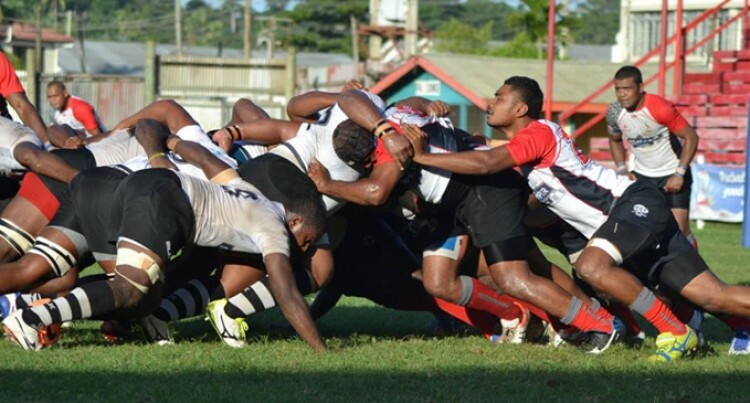 “It is not going to be an easy match against Macuata as they were champions for a long time and are known as the giants of the Northern division,” Tuitavua said. “We will have to try some game techniques to improve our standard. Our team has prepared well and the players are in good health for a great game,” he said. The tickets are sold at the ground and it’s $3 for adults and $1 for children. Ilai TinaiIsoa RokobiciSkipper Cup PremierSolevu Catholic SchoolVodafone Vanua Championship.